What is the Most Haunted College or University in Ohio? So, in this season of long shadows and dark hallways, have you wondered what is the most haunted college or university in Ohio? Before answering this compelling question, let me first say that ghosts and ghost stories do a lot for a college. First, it is impossible to tell a ghost story, without also discussing the history of the institution. Ghost story tellers are both storytellers and historians. So ghost tours and books about campus ghosts help pass on a college’s history. Second, the ghost stories often reflect the values of the institution or offer lessons based on the calamities of the past. Third, they build community. There is nothing like sharing ghost stories in the dark with friends while knowing that generations of students have shared the same stories. 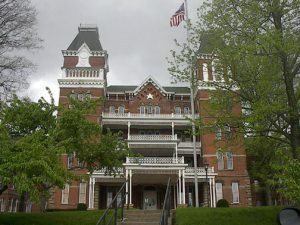 Ohio University – Often considered the most haunted campus in the United States, this historic University sports ghost tours and a variety of haunted buildings, not the least of which is the Ridges Mental Health Institution (see picture above). Ohio Wesleyan University – OWU is home to the Paranormal Research Society, a student organization that believes that many of their buildings are haunted. The OWU bookstore even sells the book, The Ghosts of Stuyvesant Hall and Beyond” as documented by John Ciochetty. 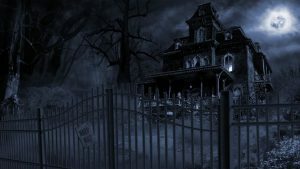 Kenyon College – Kenyon ghost tours are famous and their tales are linked to real tragedies of the past including a tragic dormitory fire and the death of a student as part of a fraternity initiation process. Runners up: Miami University where stories abound, OSU with its new “Ghost Hunters in Ohio by Student Technicians – GHOST” student organization, and John Carroll University which sports its own “Paranormal Research Group,” an active student organization that investigates paranormal phenomenon. Next Halloween season, we will offer one ghost story from each of our three winners, so keep hiking with us. There’s lots of trail ahead. 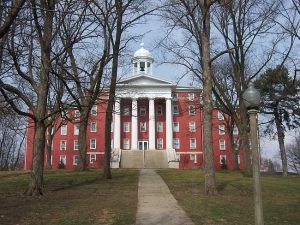 Located at the highest point on Wittenberg University’s campus, stately Myers Hall, today serves as honors housing for over 150 students. Originally built in 1845, Myers is the oldest building on campus. 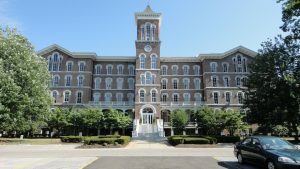 While the building provided classes, offices and residence rooms for most of its history, during the Civil War it served as a hospital for wounded soldiers. Legend has it that on one fateful evening, a Union General was badly wounded and taken to a bed on the fifth floor of Myers to recover. Unfortunately, his condition worsened and it became clear that he would not survive the night. His last wish was to see, for one last time, his loyal steed who had accompanied him for so many years. Men were sent to fetch his horse and after considerable effort and difficulty the horse reached the fifth floor. Many men shared the heartfelt scene of the horse and general together for one last time that night. After the general expired, multiple attempts to get the horse back down the stairs failed. Ultimately the horse had to be put down only a few feet from the lifeless general he refused to leave. After the war, students began to report the sound of a horse’s hooves shuffling on the fifth floor of Myers hall late at night. Others reported being startled by the sounds of a galloping horse approaching them in the darkness as they walked along the hollow behind Myers. It seems the forever-loyal horse is still looking for his general. Our first story dates back to 1993, but has its roots much earlier. It occurred one dark night on the campus of Ohio Dominican College (now Ohio Dominican University). Sister Ulela Wehrle, a member of the founding Dominican sister’s congregation, died in 1959. 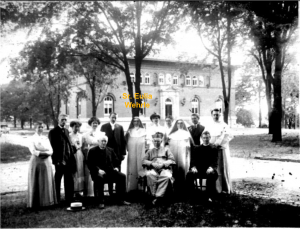 Her family had donated the funds for the construction of Wehrle Hall which was built well before Sister Wehrle’s death. Sister Wehrle spent a considerable amount of time in Wehrle Hall as many of her art classes were held there and her office was also in Wehrle Hall. Following her death, students began reporting “strange goings on” in the basement of Wehrle Hall, raising the suspicion with some that Wehrle Hall was haunted by the spirit of Sister Wehrle herself. On July 15, 1993, Wehrle caught fire. It was summer, and virtually no-one was on campus. A phone call was placed to the fire department notifying them and asking that they “come quickly.” The caller provided specific instructions on how to get to the location of the fire including the particular campus sidewalks to take. Thankfully, the firefighters arrived in time and the building was saved. Later investigation revealed that Wehrle Hall had been locked with no one inside at the time of the fire. Information provided to the police by the “elderly female” caller was inaccurate in some ways. For example, the sidewalks described by the caller did not exist. Sisters, however pointed out that they did exist at the time of Sister Wehrle’s death. Finally, and most compelling….the call that was made in the middle of the night, just in time to save Wehrle Hall, was made….. from inside the building. As Ohio skies darken earlier each night, temperatures drop, and the leaves turn orange and red, we naturally redirect our attention to things that go bump in the night. With Halloween rapidly approaching, we are reminded of all the campus ghost stories we heard this summer as we toured colleges. 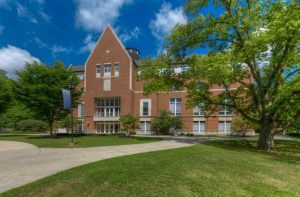 Some campuses boasted multiple spirits; others had formed paranormal investigative student organizations, and still others defended their campus as “the most haunted campus in Ohio.” We walked the halls of these gateways to the paranormal and kept our eyes peeled for anything….well, out of the ordinary. We discovered a few things. There were stories that stood out as particularly compelling and we’ve decided to share them with you. As we commence tip toeing down the trail, our next three blog entries will each contain one standout story. Buckle your seat belts and enjoy. Cleveland Institute of Art has been educating professional artists and designers since 1882. CIA is located in the heart of University Circle, Cleveland’s cultural center. University Circle is home to over 8,000 students from Case Western Reserve University, the Cleveland Institute of Music, and CIA. 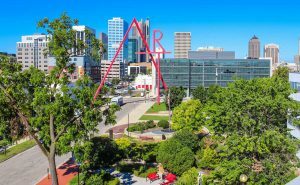 The area abounds with cultural opportunities including Cleveland Botanical Gardens, Cleveland Symphony Orchestra, and six museums including the world renowned Cleveland Museum of Art. CIA is one of 40 Independent Colleges of Art and Design (AICAD) in the U.S. and the 2nd largest of 3 in Ohio. A dedicated art school is different than majoring in art at a comprehensive university. At CIA, students are surrounded by artists and have the advantage of taking courses across disciplines as needed to support their work. Nationally known for their programs in Industrial Design and Biomedical Art, CIA offers 15 majors including growing majors in Game Design, Illustration, and Animation. A close relationship with Case Western Reserve University opens courses, team projects, and co-curricular activities, across schools. Columbus College of Art & Design (CCAD) is a private college of art and design located in downtown Columbus. Originally founded in 1879 as the Columbus Art School, CCAD is one of the oldest private art and design colleges in the U.S. 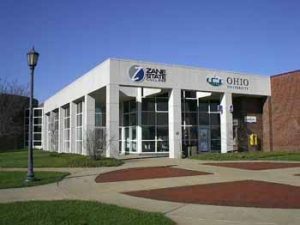 They are also the largest private art and design college in Ohio. 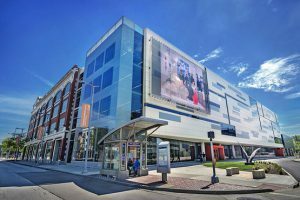 Located next door to the Columbus Museum of Art, CCAD offers students 10 major areas of study, 16 minors, and 12 concentrations. The largest majors are Illustration, Advertising & Graphic Design, Industrial Design, and Animation, but all are strong. Most importantly for artists and designers, students declare one major area of study, but enjoy plenty of elective space to integrate course work relevant to their unique set of interests and professional goals. CCAD is a creative think tank; ideal for artists who take their craft seriously and can appreciate working alongside others who do too. 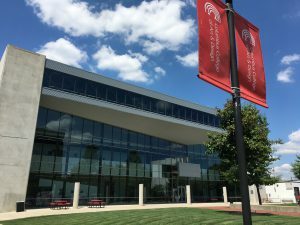 Ohio is home to three specialty Art and Design Colleges, all of which are accredited by the National Association of Schools of Art and Design. They include Columbus College of Art and Design, Cleveland Institute of Art, and the Art Academy of Cincinnati. These schools date back to the 1800s and are located in the center of the urban art districts of our state. Major offerings include such areas of study as photography, videography, illustration, animation, interior design, industrial (product) design, graphic design, fashion design, painting, ceramics, and others. These are unique think tanks for creatives. They are not for the faint of heart, but instead are rigorous training grounds for students who take their art seriously and want to organize their lives around it. So, why study art and design at a specialty art college versus an art department within a more comprehensive university? Simply put, for students at these colleges, their entire world is integrated by shared artistic concepts and connected to a network of other artists practicing in an variety of art forms. Additionally, these colleges are networked to the art and design world in a way that ensures an ongoing steam of speakers, teachers, professionals, and creative organizations through their doors. This summer, CBA spent a day at the largest two of these three schools. Let’s hike a bit further down the trail and take a look at each one. 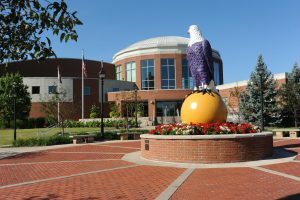 Franciscan University of Steubenville is a private Catholic University in the Franciscan tradition located in Steubenville, Ohio. 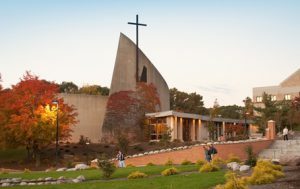 Franciscan boasts the largest Theology major in the country and has achieved a unique integration of faith and reason in their 41 offered majors. Providing students opportunities for international travel and service, this unique University encourages students to live their faith while completing rigorous academic programs. Like many Catholic institutions, the core curriculum requires 15 credit hours in theology and philosophy. Majors in Nursing, Biology, and Catechetics (Religious Education) are all strong. The culture at Franciscan can best be described as “Passionately Catholic.” Over 70% of students attend mass at least twice weekly and most students participate in Catholic outreach initiatives on an ongoing basis. At Franciscan students deepen their Catholic faith through membership in “households” that are undergirded by, and organized around, faith practices. Students enjoy an ongoing stream of “Catechetics” speakers with some estimating that over 50% of the world’s most renowned religious education speakers have visited Franciscan. Franciscan also boasts one of the largest Priestly Discernment Programs in the country offering human, academic, spiritual, pastoral, and fraternal formation for men considering the priesthood. Currently over 40 men are in this program. For pro-life students who take their Catholic (or Christian) faith seriously and wish to further deepen their faith during their college years, Franciscan is worth a visit. 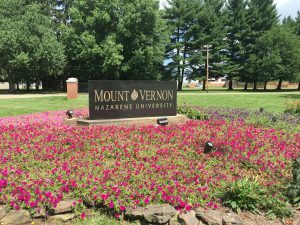 MVNU students say that they are “Intentionally Christian.” They are also inclusive. Students do not have to sign a statement of faith, and there are even non-Christian students enrolled at MVNU – they are welcomed and supported. While students must earn 36 chapel credits per semester there are a number of ways to do so. Chapel is offered MWF at 10:00am. It is well attended. There are also service and mission opportunities that offer Chapel Credits. A prayer before class is not unusual. 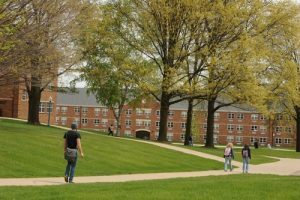 MVNU’s main campus enrollment is around 1,300 students. In the fall of 2016, MVNU welcomed their largest freshman class ever at around 370 students. Many students hail from small towns, most in Ohio (92%). 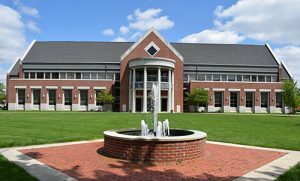 Add to that new and growing programs in Engineering (Mechanical and Electrical) and Communication Sciences & Disorders (Pre-Speech Pathology or Audiology) as well as existing strong programs in Nursing, Early Childhood Education, Business Administration, and Biology and you have a vibrant institution with a lot to offer.